This boat is in great shape for a boat of its age. There have been a lot of upgrades over the last few years to keep the boat comfortable. The Kohler generator is a newer addition ans is the Vacuflush head and windlass. The boat is hauled yearly and well maintained. Stock #104259 Good Condition! 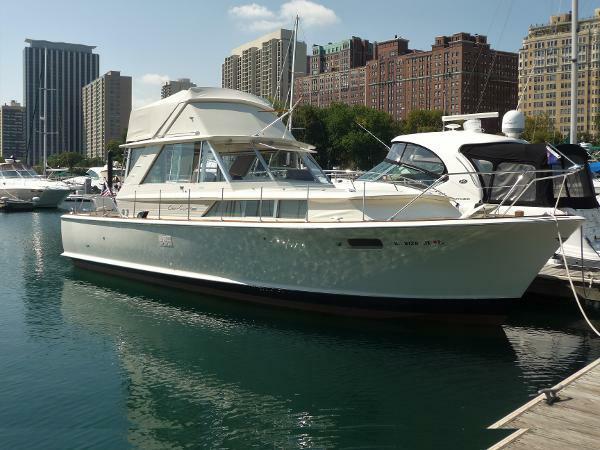 If you are in the market for a motoryacht, look no further than this 1969 Chris-Craft 38 Commander, just reduced to $29,950 (offers encouraged). 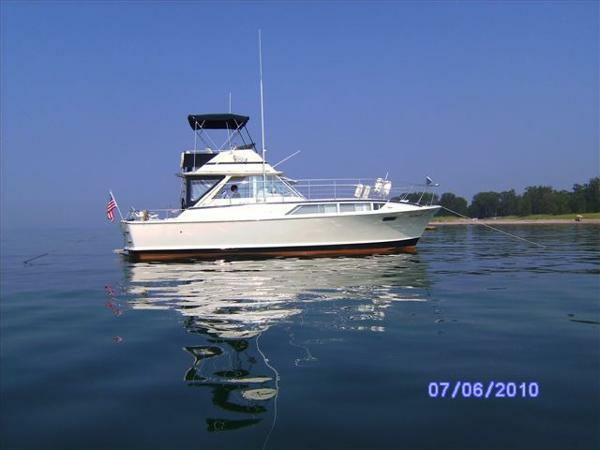 This vessel is located in Freeport, New York and is in great condition. She is also equipped with twin Crusader engines that have 1,129 hours. Reason for selling is seller is getting too old to enjoy. 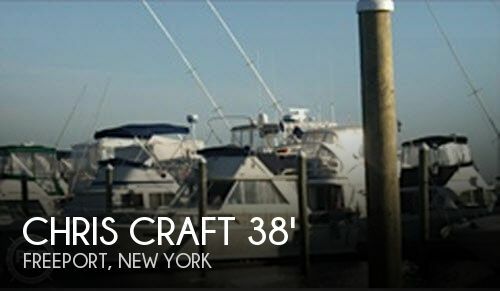 1970 Chris Craft 38 Commander (SRG) Synopsis This is a classic Chris Craft Motoryacht that is ready to go…she just needs a new owner. Owner has a need for a different type of vessel her sold. She has all the amenities you will need. Call us for more details and to place an offer…. motivated seller. Will consider trade for 22-25 Fishing boat. 1965 Chris Craft 38 COMMANDER Sedan Bridge Original Classic - 1965 Chris-Craft Commander Sedan Bridge - The Prettiest Girl in Town! 150 Hours on Repowered 8.1L Crusader Engines - 385 HP @ 2 GPH Cruise! Total Engine Room Restoration from the Glass Up - See Detailed List Factory Balanced High Performance Propulsion for Max Efficiency Completely Rewired Electrical System Throughout the Entire Vessel 100% Original Cabin Interior With Modernized Sanitary 100% Original Vessel Exterior With Glistening Brightwork Gorgeous Factory "Oyster White" Hull and Superb Gelcoat and Fittings One of the Best Remaining 38 Commanders to be Found Anywhere Call for your exclusive showing. 1966 Chris Craft 38 Commander (CURRENT OWNER OF 5-YEARS) NICELY EQUIPPED AND WELL CARED FOR THIS 1966 CHRIS-CRAFT 38 COMMANDER IS A MUST TO CONSIDER -- PLEASE SEE FULL SPECS FOR COMPLETE LISTING DETAILS. 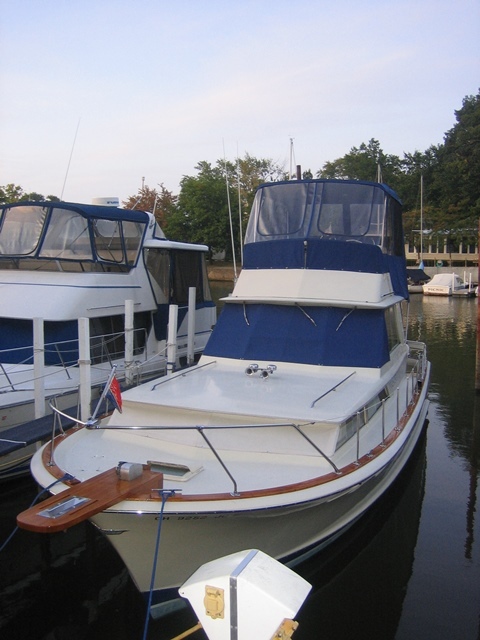 Freshwater / Great Lakes boat since new this vessel features Twin Crusader 454-cid 350-hp Gas Engine's. 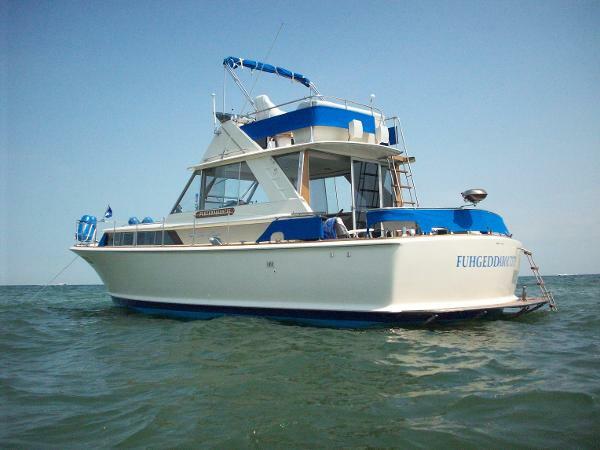 Notable features include but are not limited to the following: Air-Conditioning & Heat (3-Units), Head (Electric Flush) w/Vanity/Sink/Shower, Windlass Anchor, Premium Kenwood Sound System w/AMP & iPod/MP3-Connection, Onan Generator, Canvas Package (Fly-Bridge Mooring Cover, Aft Deck Cover), Teak Swim Platform w/Boarding Ladder, and MUCH more! Broker Notes: Inside boathouse stored summers and inside heated stored winters. Transmission rebuilt 2014, dripless shaft log's, (4) aft-deck chairs, (2) spare propellers, owners manuals. 1968 Chris-Craft 38 COMMANDER, This 38 Chris Craft Commander, also known as a 38 Sedan, is a classic you have to see to appreciate. It is a two-owner boat and always Fresh Water. Current owner has every receipt of over $50,000 invested during their ownership. All of that will mean low cost of ownership for the next owner. Call or email for details. Shown by appointment, this boat is offsite and located in Ohio. Why this 38 Commander stands out: -New 7.3 Kohler generator-6 years ago -New salon carpet 2015 -New Vacuflush head -New Flexsteel leather reclining sleeper sofa with aero mattress-6 years ago -Salon refinished in mahogany veneer -Head refinished in mahogany veneer -Newer hot water heater -Newer rectifier/battery charger -Update interphase forward looking sonar -New swim platform five years ago -New teak bow pulpit with windlass-5 years ago -All teak and varnish in "yacht condition" -Upgraded horns-louder! -New galley countertops and curtains -Spare props ...and the list goes on. Rare two owner and always fresh water boat. Trades considered. 1968 Chris-Craft 38COMMANDER, This 38 Chris Craft Commander, also known as a 38 Sedan, is a classic you have to see to appreciate. It is a two-owner boat and always Fresh Water. Current owner has every receipt of over $50,000 invested during their ownership. All of that will mean low cost of ownership for the next owner. Call or email for details. Shown by appointment, this boat is offsite and located in Ohio. Trades considered.